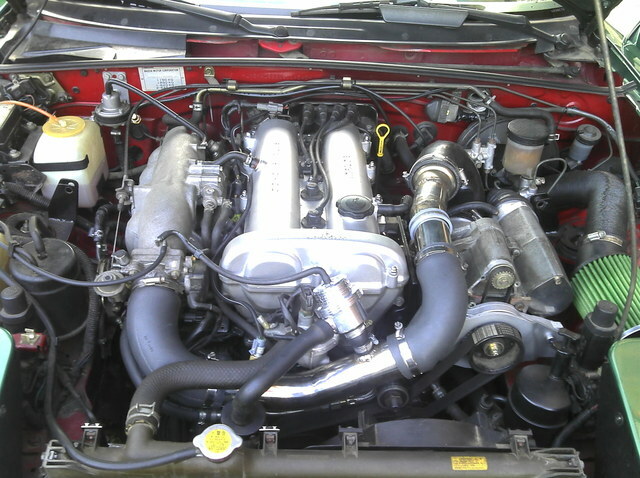 Miata scroll supercharger (homemade setup) - Miata Turbo Forum - Boost cars, acquire cats. I'm Marc, 25 years old. 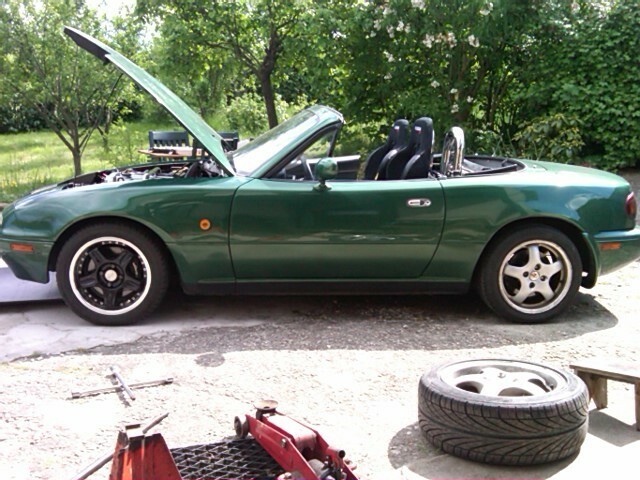 I came here to find some good informations to transform an atmo 1.6L 1991 miata to a supercharged version. I got 10.5 psi at 4500rpm but my manifold air temp reach more than 210°F (ambient 77°F). What would be a good air temp target? Haven't you already got a thread on this? Ambient is a good target.....but as I said in your other thread 210DegF isn't that high in my experience, you can safely drive at those IAT's if your tuning is appropriate. Fitting an IC isn't going to be a big deal on your setup anyway, as you blow through your throttle, no long intake tracts, so get to it and bask in the lovely cold(er) air. My MSPnP can't read over 210°F so I think it cannot adjust fuel very well. If you can afford the few hundred £$ an IC will cost you then you should do it. There's no downsides for your setup. I will search in megasquirt if I can set up the limit temp of IAT. 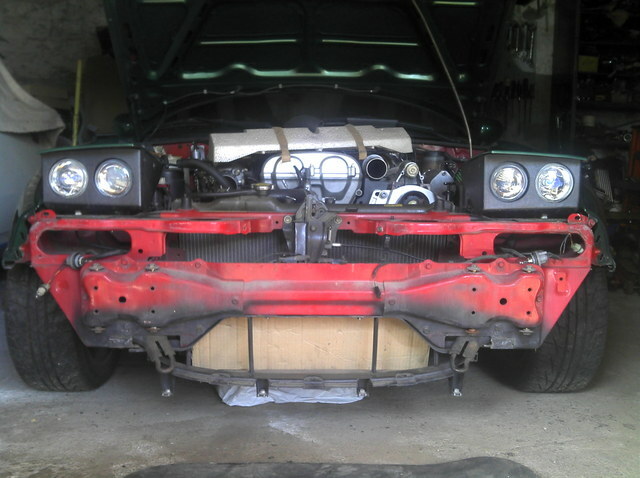 I'm on my way to install an intercooler. The cardboard represent the future intercooler's core size. I have removed the OEM fan to put the pipe between radiator and anti sway bar. The IC will have dramatic effects. You will need fans. Try routing hotside through fender. I have two 10" fans and I'll try to put them between the IC and the radiator. Pushers or pullers? Get some french ducting going asswell. They are universal type. I can return the blades and switch polarity. I'm planning right now (in my head) on fresh air feeding. I will try to make a heatshield box for the air filter or, change the air filter (maybe a mushroom) and bring some air from the outside to it. Cold air intake< ducted and and sealed IC and radiator. Coming from the land of VW I can say that you picked the least reliable supercharger on Earth. However, it's nice to see the fab work on this. Cold air intakes are worthless on a FI car. Unless your sucking sub 0 temp air the iat coming out the blower will be the same regardless. And if you are sucking air that cold you will cause problems in the blower. I dont think I agree with that. The temperature at the outlet of the compressor is a product of the compressors efficiency and the inlet temperature. Will a CAI make a big difference. No. But I think there should be a difference. Small difference in temperature. Not enough to notice though. What full tilt said. Not saying 100% sciences it will do nothing. Compared to ducting it will do nothing. Ducting will drop your iat astronomically compared to a cai. While this is true, the temp at the end of the system (throttle body) will be proportionally cooler as the temp at the beginning of the system (filter) drops. Compressing the air increases the temp by a ratio of compressor efficiency and inlet temperature. Thus if inlet temp drops 30 degrees, then outlet temp drops 30 degrees. But you see my dear Watson if your charger is 200* and your sucking 70* air verse 100* air the air coming out of the blower is going to be ~200* regardless of the air going in. Could be a little cooler but still hotter then a 30* difference between having a cai and no cai.